Three days in Melbourne allows you to get a proper taste of the city and the surrounding area. You can explore laneways, feast on world food, watch penguins waddle home at sunset, and cruise the Yarra River. Beyond the city, you can ride the iconic Great Ocean Road and experience the Yarra Valley’s gourmet food and wine scene. Here’s how. Start your day by orienting yourself within Melbourne, perhaps with a hop-on hop-off bus tour. Visit sights such as the Royal Botanic Gardens, Federation Square, and Parliament House; stroll the banks of the Yarra River; see 18th-century Cooks’ Cottage in Fitzroy Gardens; then break for a lunch of local produce and an artisan shopping spree at historical Queen Victoria Market. Up the adrenaline by taking in the views from Eureka SkyDeck—or hovering high above the city in the glass cube called the Edge—diving with sharks at the Melbourne Aquarium, or soaking up the city’s skyline from a kayak on the Yarra River. At sunset, park yourself at Phillip Island’s Penguin Parade, watch the adorable little penguins come waddling out of the ocean and into their burrows, then return to the city to feast on a Greek or Vietnamese dinner. Spend today discovering the majestic Great Ocean Road, which winds its way beside the Southern Ocean for 249 dramatic miles (400 kilometers). Admire rock formations such as the Twelve Apostles and Loch Ard Gorge; search for koalas in the eucalyptus trees at Kennett River; explore the timeless rain forest at Great Otway National Park; and learn about the ships that perished on the notorious Shipwreck Coast. Along the way, stop for a lunch of seafood and local wine in Apollo Bay. Once night falls and you’re back in the city, explore Melbourne’s signature urban attraction: the cobbled laneways that knit together the city center. Head to Duckboard Place or Hosier Lane for street art; wine and dine on Meyers Place or Tattersall Lane; or soak up the rock ‘n’ roll vibe on AC/DC Lane. Finish the night with a cocktail at one of the city’s signature “secret” laneway bars. Get out into Melbourne’s world-renowned wine country: the rolling fields and hills of Yarra Valley, which focus on elegant cool-climate chardonnays and refined pinot noirs. Greet the sunrise gliding high above the vineyards and the river in a hot-air balloon, then savor a Champagne breakfast after you land. Next, discover the fine wines and foods of the region: tour wine estates, taste premium vintages, explore vineyards and cellars, and feast on fare from artisan cheeses to local oysters, chocolates, and even beer. 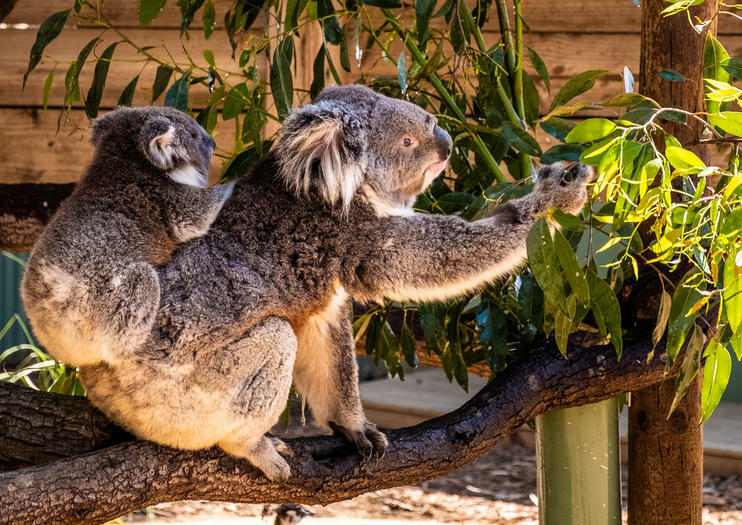 Stop in the pretty town of Healesville for boutique shopping, handmade crafts, and native wildlife at the Healesville Sanctuary. If traveling with children, don’t miss the chance to ride the Puffing Billy steam train. Wrap up your stay in Melbourne with a classic city experience—a dinner cruise along the Yarra River.